Moree, NSW was and will always be home to Aboriginal people and their families. From Generation to generation, their forefathers followed in the footsteps of the Aboriginal Dreamtime people. This great race of people saw and knew this great timeless land in its true and natural way. They lived in closeness with nature itself. They walked upon the land and saw many beginnings. They lived under their own traditional lifestyle and culture abiding under their own laws and ceremony tradition. They shared in food gathering, hunting fishing and moved around in walkabouts. They for thousands and thousands of years came to gather in ceremonial corroborees. They left behind many untold stories, myths, legends and dreaming stories about their time. The Kamilaroi tribe shared in many things concerning their ancestors which are now known as sacred sites, secret ground, sacred cave, sacred water holes and dreaming places; the Kamilaroi traditional art. The Kamilaroi people for thousands of years shared in many great works of art; drawing, painting, marking, carving, which are still seen today on cave walls, rock, rock shelters on the ground, trees and artefacts of boomerangs, shields and message sticks. These works of art represent things, which surrounded them on their lifetime of Dreamtime people, animals birds fish or patterns. 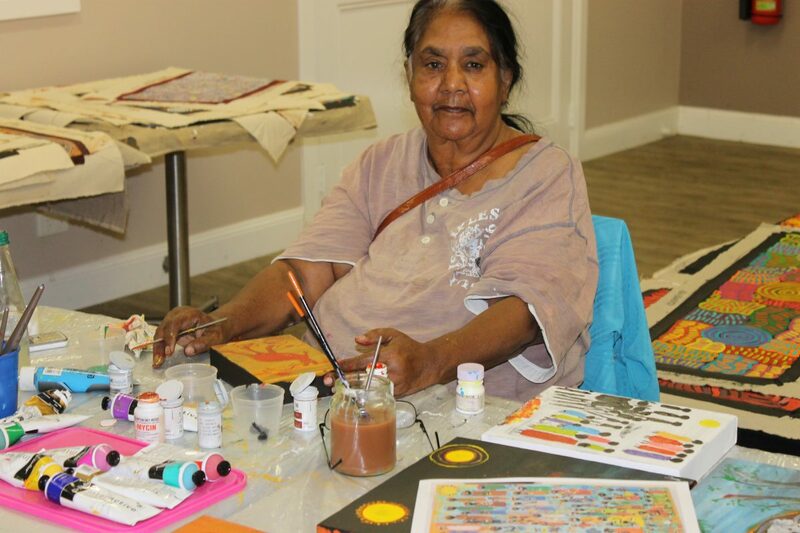 Today, the many Aboriginal artists are keeping the art going in modern day style which they hold on to concerning their Great – Grandfathers’ and Grandmothers’ life on the river camps, their Dreamtime stories and legends are shared with their spirited feeling within themselves.